Intermediate level Chicago Bridge. These sessions will appeal to players of some experience who want to improve their Bridge in a friendly atmosphere. The group meets in Otford Village Hall & no partner is required. A small charge covers the hire of the hall and coffee. This is an Open group. 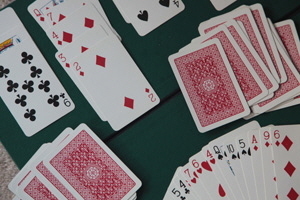 Friendly games of Teams Bridge are played each month in members’ homes, on days that suit the people playing in each game. 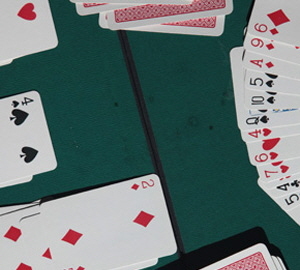 We are happy to hold introductory sessions if you have not played teams bridge before. However you do need a bridge partner who is also a member of the U3A and an email address so games can easily be organised. This group meets monthly to play on conventional full size boards and with matching Staunton pieces. 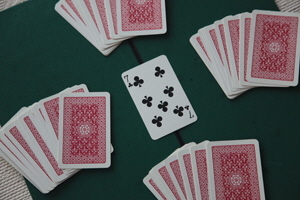 We draw partners at random, and most pairs will play one or two games in the session. We sometimes discuss strategy together. The group meets throughout the year. New members welcome. If you have some difficulty in completing The Times cryptic crossword on your own, why not join our group where we use our combined brainpower to solve the current day’s crossword. Meet at the Sennockian, Sevenoaks. 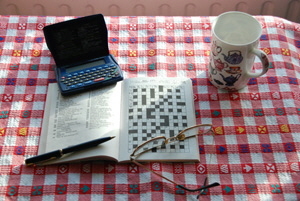 As a crossword addict for some 50 years, I aim – in the spirit of U3A – to share such knowledge and tips as I've accumulated, in order to help fellow members to tackle cryptic crossword puzzles. Being an occasional crossword compiler enables me to offer additional insights into the devious ways of setters. The group meets ad hoc, not on a fixed schedule, to keep it flexible and accommodate members' availability. It is also flexible in level: can start from basics for members with little or no experience of crossword solving; and move up to tips and 'tricks of the trade' for those making headway but in need of some help and guidance. Content of meetings ranges accordingly from explanation of key concepts and types of crossword clue, with worked examples, to tackling an actual newspaper puzzle together. NB: it's not about 'lessons' or a 'course', we keep it informal – a better word might be 'workshops'. A meeting could be with half a dozen fellow members, or just one, and location wherever suits the majority. No commitment: come once or several times, whatever you need to develop confidence and solve crosswords whether by yourself or with the monthly Crossword group (see handbook). 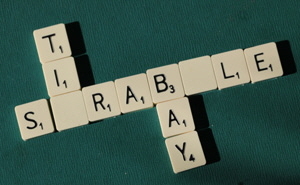 An opportunity to enjoy both challenging and friendly games of Scrabble. We meet at the Holmesdale Bowls Club in Worships Hill, Sevenoaks. There is a small charge for room rental. 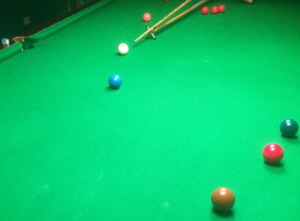 The U3A Snooker Group is now up and running at the Olympic Centre in Swanley. where there are 6 tables available for play. We have reserved 2 tables from 2pm till 4pm on the 2nd and 4th Thursday of each month. The Centre is an easy drive from Sevenoaks and plentiful free parking is available. Charges are an initial annual joining fee of £11 and then a table charge of £3.40 per hour. We play at the Leisure Centre with various levels of skill. Equipment supplied. Modest charges. New members welcome and membership may be shared between the two groups. Our aim is to play whist in a friendly manner. 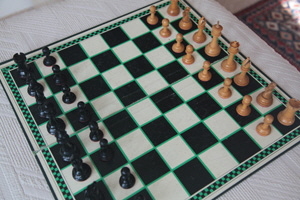 Meetings are held in members’ homes for both beginners and more experienced players. At present we meet twice each month.